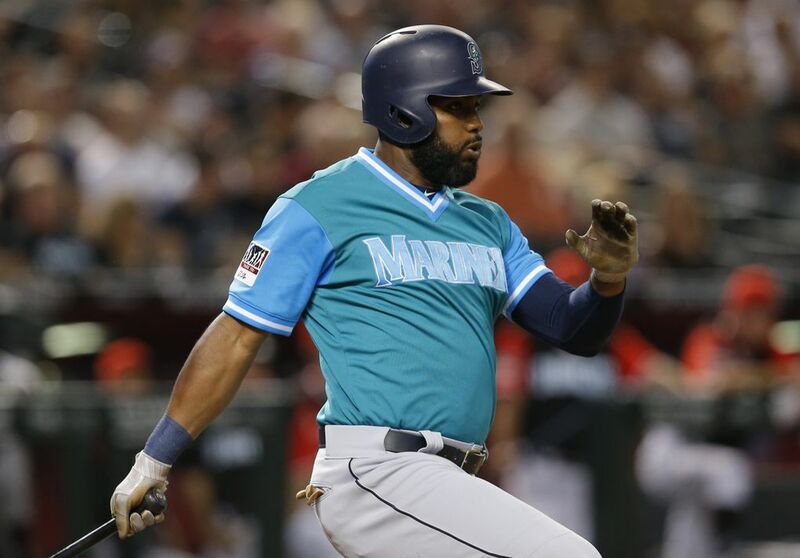 With a save in the Mariners' 6-3 victory over the Diamondbacks on Friday night, Edwin Diaz moved past Fernando Rodney, who held the previous record of 48 set in 2014. PHOENIX — There was no celebration, not even a fist pump, just a hug with Mike Zunino after an easy strikeout of Daniel Descalso on a biting slider at 91 mph. The lack of drama in the inning and the inevitability of the achievement made it basically a foregone conclusion. Edwin Diaz was going to set the Mariners’ season record for saves. It was just a matter of when. It came Friday night at Chase Field. 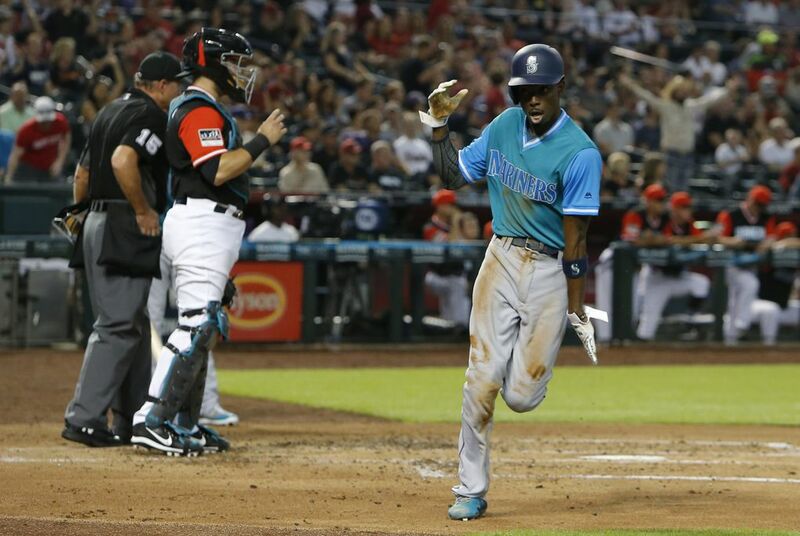 Diaz worked an easy 1-2-3 ninth inning to secure the Mariners’ 6-3 win over the Diamondbacks. With the save, he moved past Fernando Rodney, who held the previous record of 48 set in 2014. There wasn’t even the traditional beer shower in the clubhouse postgame to celebrate Diaz’s achievement. Why? Because he didn’t tell anyone about it. To Diaz, the next save will be more important. Besides being the nice round number of 50, he will also win a bet with manager Scott Servais, who agreed to get the same haircut as Diaz if he reached 50 saves. 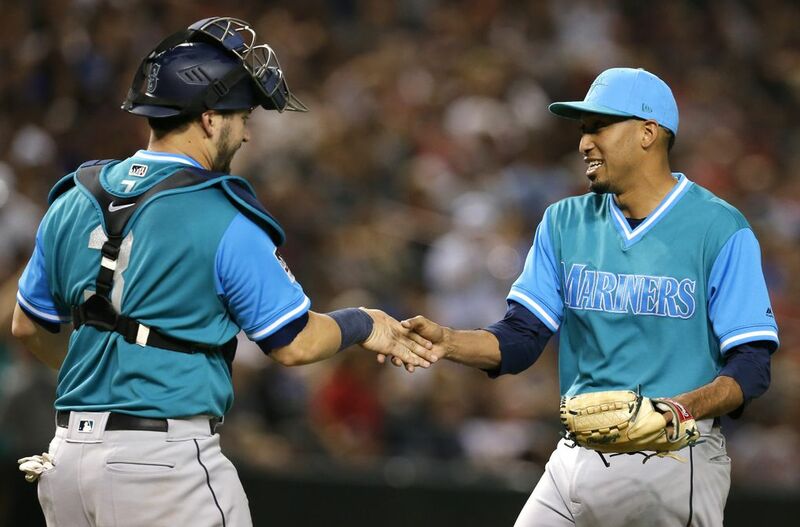 During the postgame handshakes, Diaz made sure to let Servais know that he was just one save away. “The big number is 50,” Servais said. The mention of the 50th save made Diaz excited. Diaz said he will fly his barber into San Diego to give Servais the haircut if he were to notch that 50th save during this series. Beyond the frivolities of a clubhouse wager, Diaz leads the majors in saves. The next closest is Craig Kimbrel with 37. Diaz has struck out 46 percent of the batters he’s faced this season and the Mariners are 58-0 when he enters with a lead. He’s blown just four saves all season. Diaz’s fastball was touching 99 mph in the outing. Despite all the usage this season, he looked strong after not throwing in four days. 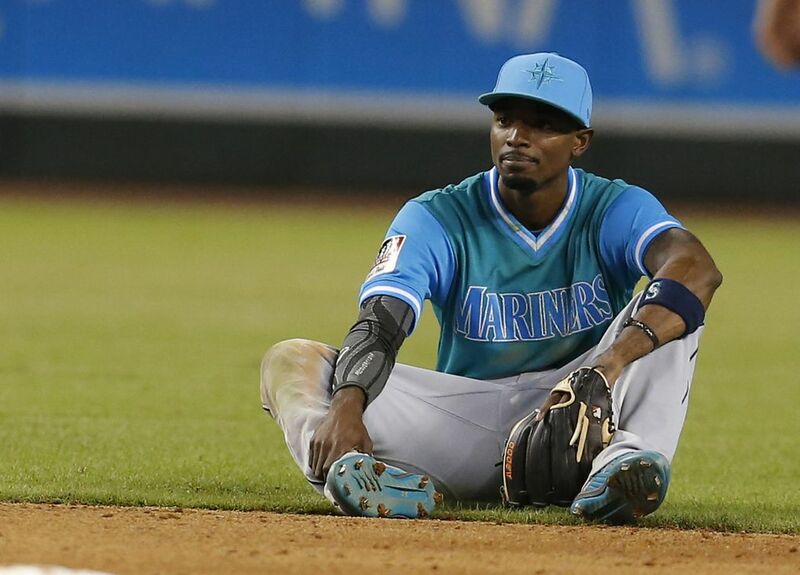 The Mariners haven’t been in that spot to use Diaz much lately because of poor outings from their starting pitchers. 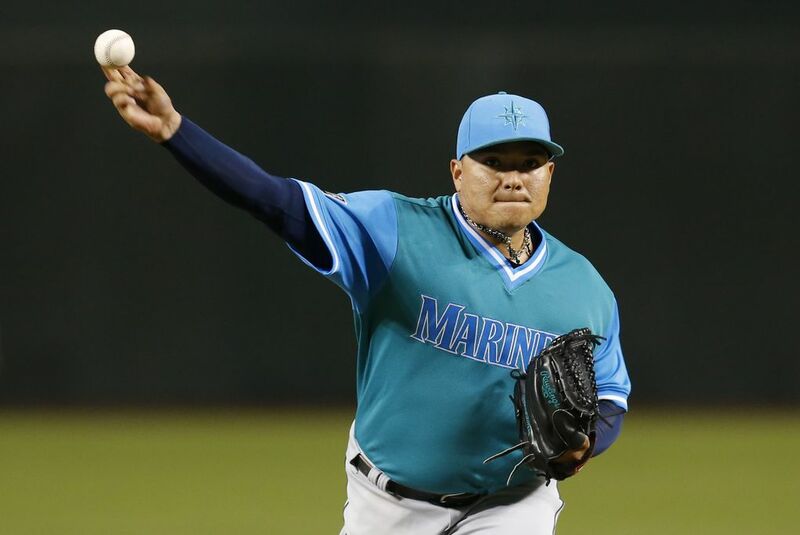 Erasmo Ramirez provided a welcomed change from that lack of success. 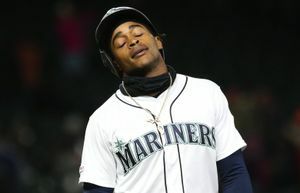 The diminutive right-hander gave Seattle a solid start, pitching six innings and giving up three runs — only one earned — on six hits with a walk and six strikeouts to get his first win of the season. 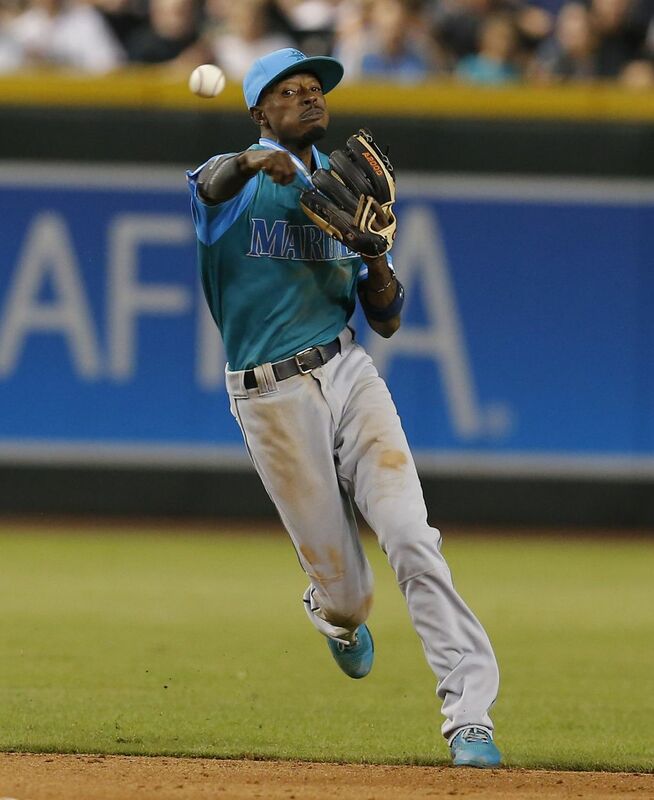 Dee Gordon manufactured the Mariners’ first run. 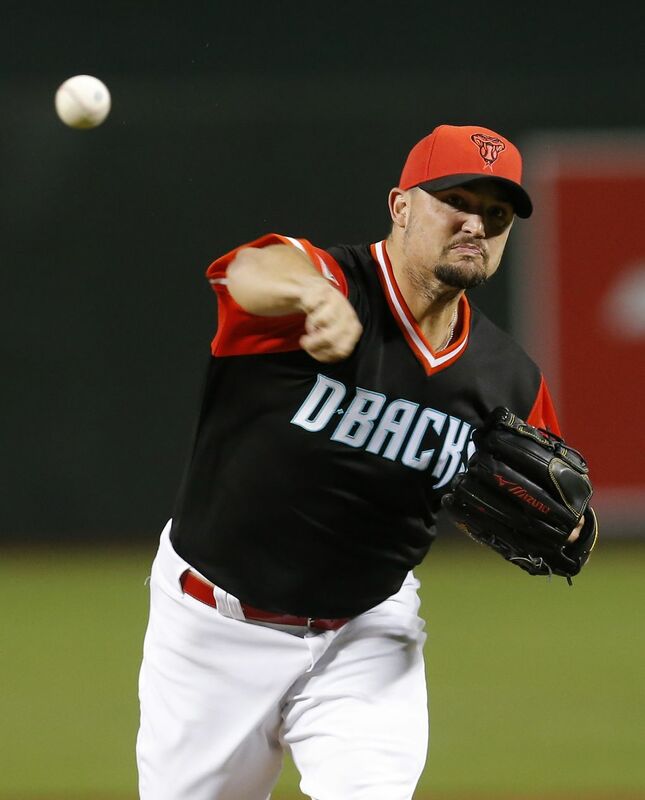 After hitting a leadoff double to start the third inning off Arizona starter Zack Godley, Gordon noticed that catcher Alex Avila was making looping tosses back to the mound after each pitch. Godley also kept his head down while getting back to the rubber. So Gordon timed out his lead and took off for third base on a throw back to the mound. 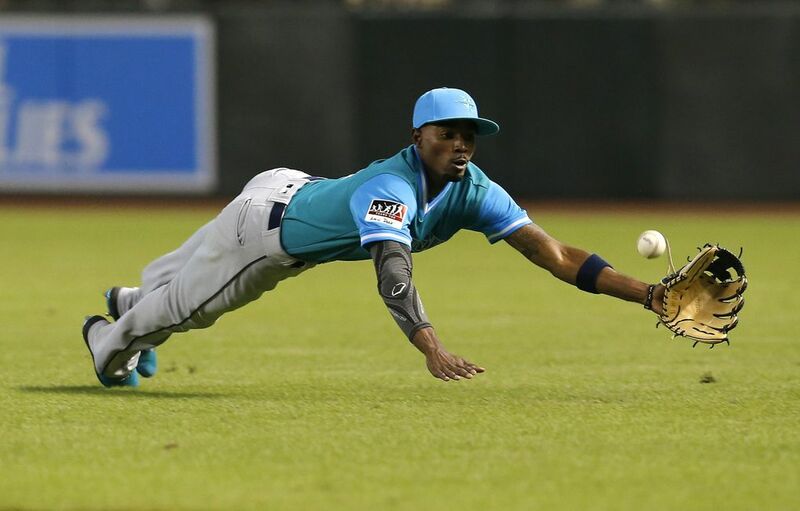 The play stunned Godley, who caught the ball and fired awkwardly to third base, but nowhere near third baseman Eduardo Escobar. The throwing error allowed Gordon to race home for a 1-0 lead. How long did it take Gordon to get it timed up to know he could attempt the play and make it? 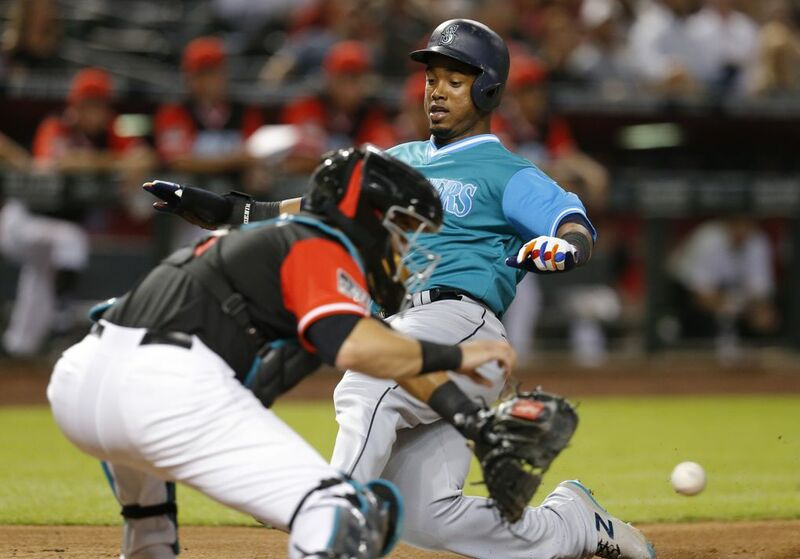 It was the start of a four-run inning for Seattle. 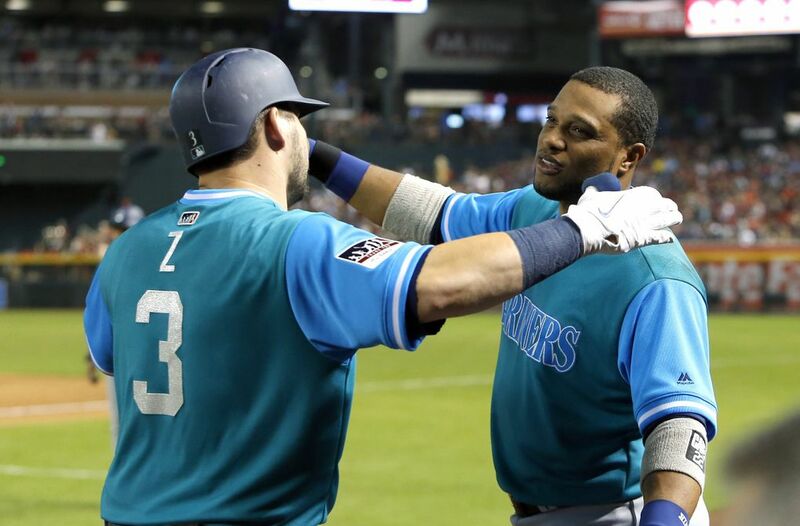 Mitch Haniger singled to center — his second of three hits on the night while Robinson Cano, Jean Segura and Denard Span all followed with hits to lead to two more runs. Kyle Seager added a sacrifice fly to right to score Segura that made it 4-0. 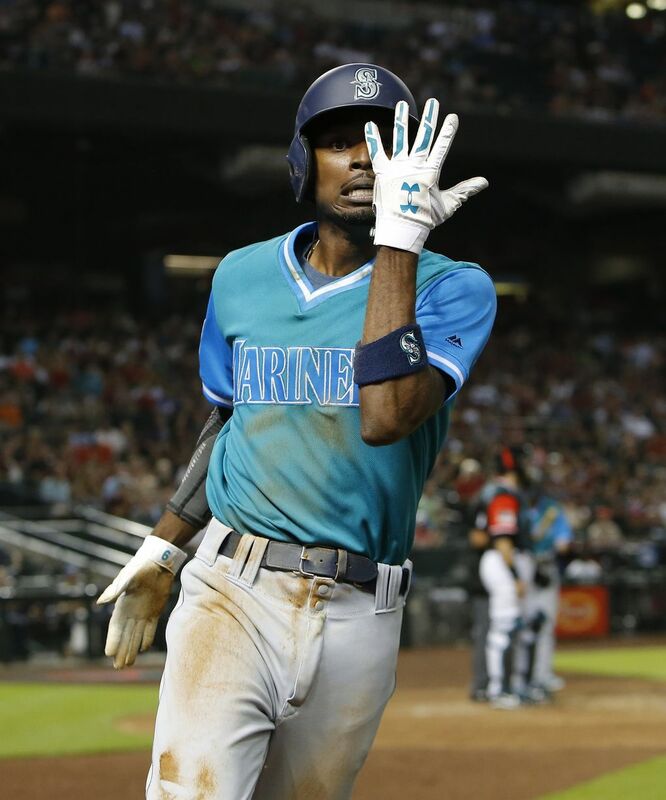 The Mariners pushed the lead to 5-0 in the fifth inning when Haniger smashed his 21st homer of the season, sending a solo shot into deep left field off Godley. Haniger looked right at home in the place where he made his big-league debut two seasons ago and playing against his former team. Arizona picked up its first run off Ramirez in the bottom of the fifth. 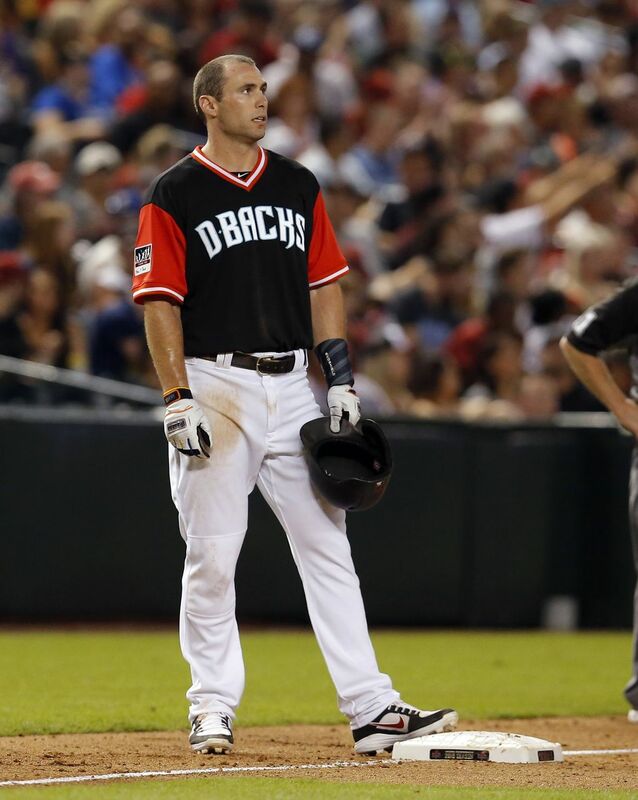 Nick Ahmed led off with a single and later scored on A.J. Pollock’s sac fly to center. Seattle got that run back immediately and in impressive fashion. 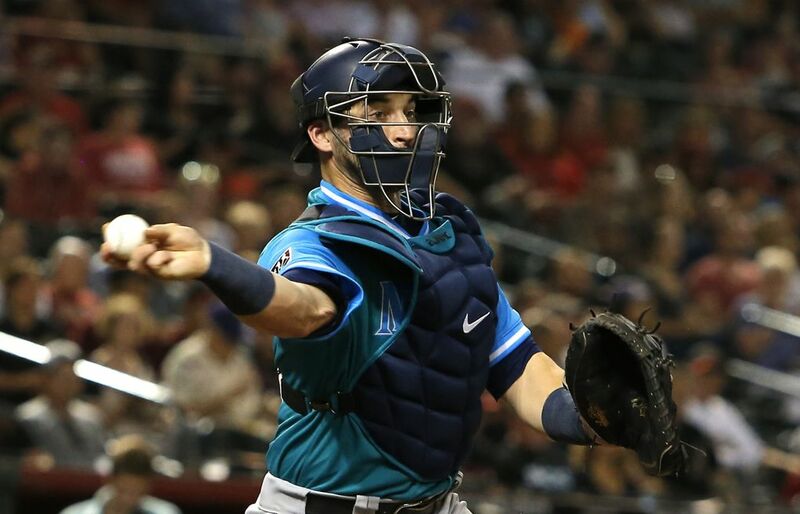 Mike Zunino’s opposite-field solo homer to deep right-center with two outs in the sixth — an example of his freakish strength — pushed the lead to 6-1. 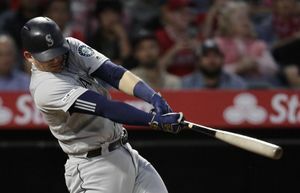 The experiment of Cano as a utility player produced some suboptimal results in the sixth inning, leading to a pair of runs. 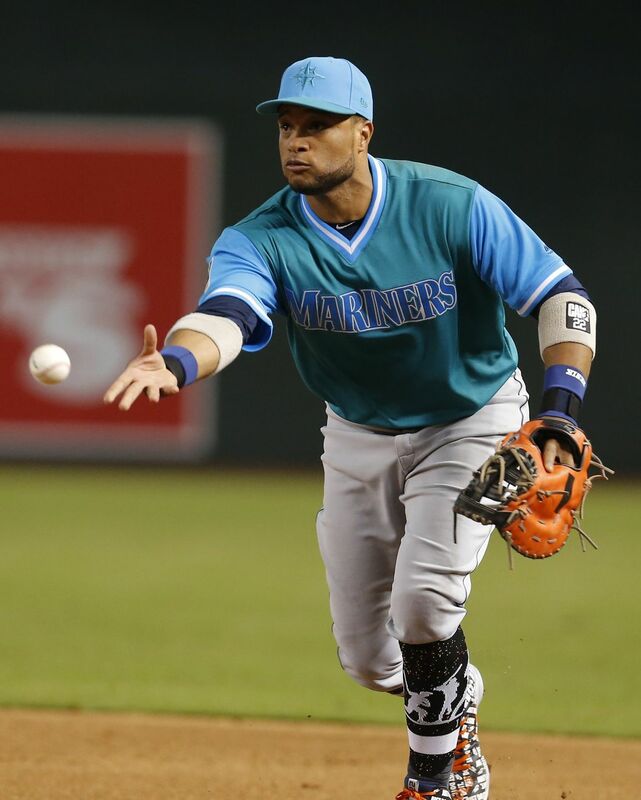 Cano was unable to pick a pair of throws in the dirt at first base — one from Segura and one from Gordon — that most first basemen make with regularity. The second throw came with two outs and bounced into the Mariners dugout, allowing two runners to score on the play.